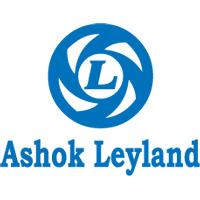 Ashok Leyland, the flagship company of the Hinduja Group, has reported an increase of 90% in its total sales for September 2010, at 10,363 units as against 5,448 units sold in September 2009, in the month of August 2010 the company's total sales stood at 7,480 units. The company's domestic sales stood at 9,513 units during September 2010, as against 4,809 units during September 2009, showing an increase of 98%. Further, exports increased by 33.3% to 850 units in the reporting month from 639 units in the year-ago period. The company’s major growth segment i.e. medium duty vehicle (MDV) segment, registered a growth of 99% in domestic sales, for the month of September 2010, at 9,474 units against 4,759 in the corresponding month of the previous year. But in light commercial vehicle segment (LCV) sales were down to 39 units in the month of September 2010 compared to 50 units in the month of September 2009 down by 26%.